While riding the rails with preschool pal Thomas, you’re always in for a good time! Come aboard for four “fun”-tastic new episodes and meet new engine friend “Scruff” in Thomas & Friends™: Wobbly Wheels & Whistles­, now available on DVD, and Digital Download. Teaching timeless life lessons such as discovery, friendship and cooperation, the Thomas & Friends animated series invites children to enter a world of imagination through the tracks of a train and the words of a story. B is always up for a good episode of Thomas, and recently the princess seems to be just as into the friendly blue engine as her big brother! They were super excited when the new engine "Scruff" was introduced on this adorable DVD, and I have to say as I parent I am enjoying Thomas & Friends in CG Animation! It's allot more fun to watch, and I can really get into it with the kid's. The exciting adventures of Thomas & Friends: Wobbly Wheels & Whistles was a HUGE hit in our house and has been viewed repeatedly since it arrived....definitely a FAST FAVORITE! It's sure to be a hit with all little train lover's! Fun & Adventure! Plus meet the new engine "Scruff"! One Lucky reader will receive a copy of Wobbly Wheels & Whistles on DVD! Leave a comment~ Which Thomas & Friends Engine is your little one's favorite? The Comment is considered your entry. 2) Tweet ~ FUN & Adventure! 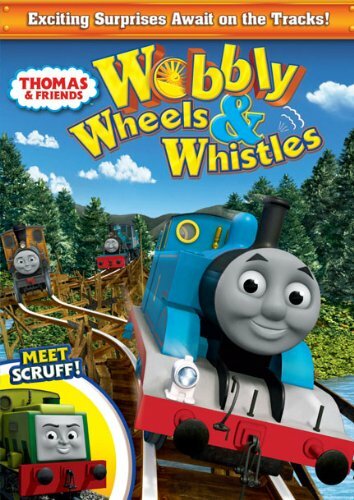 Meet NEW Engine "Scruff"!Thomas&Friends Wobbly Wheels&Whistles on DVD #Win @savvycouponmom http://bit.ly/eGvWgR #Giveaway (can be repeated twice daily for additional entries~ copy paste please~cut and paste- the bit link must be posted in the tweet - I will check) (Additional 5 Entries - 5 Comments). Entry to this giveaway ends at 12pm PST February 20, 2011. Winner's are chosen randomly through random.org. The winner will be announced in a post within 7 days of the giveaway ending, and contacted through email. The winner will have 48 hrs. to respond or another winner will be chosen. Our favorite is of course Thomas! We took GD down to Lancaster County Train museum so she could meet Thomas in person...since that time, she has been hooked on him! My kiddo would flip for this! His favorite (as of this very minute) is Spencer. I mean, that's the one he is carrying around! Thanks for the giveaway! My son's favorite is Thomas! Some days he really likes Percy, but most of the time I think his favorite would be Thomas! My sons favorite is Thomas and Percy! Thomas being #1 Favorite! I follow and tweet on twitter @nickandmattsmom Thank you for the giveaway! My oldest son likes stanley rosie and thomas and my youngest likes james spencer and percy. we are big fans around here! My son's favorite train at the moment is Hiro. Entered the Shalome Sesame: Mitzvah on the Street giveaway. I like Hit Entertainment on FB. We love Thomas and Percy. I follow Hit Entertainment on Twitter 6. I follow Hit Entertainment on Twitter 7. I follow Hit Entertainment on Twitter 8. I follow Hit Entertainment on Twitter 9. 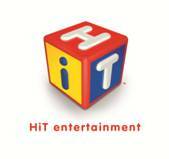 I follow Hit Entertainment on Twitter 10.